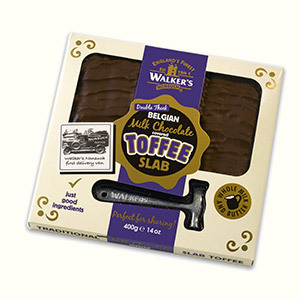 Two of our best selling 100g Toffee Bars and a novelty Walker’s Nonsuch hammer for breaking the bars into bite size pieces. 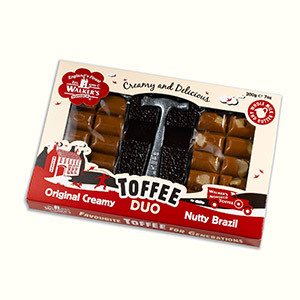 Contains Original Creamy and Nutty Brazil. 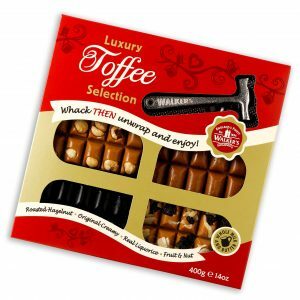 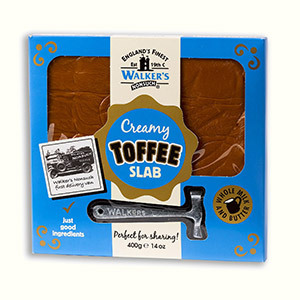 Four of our best selling 100g Toffee Bars and a novelty Walker’s Nonsuch hammer for breaking the bars into bite size pieces. 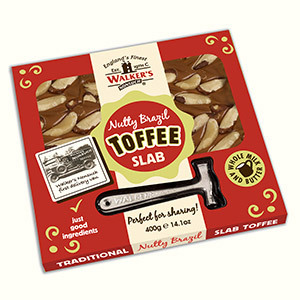 Contains Roasted Hazelnut, Original Creamy, Liquorice and Fruit and Nut 100g Bars.